Reusable Silicone Food Storage Bags – 4 Pack ( White + Blue + Green + Red). Microwaveable, freezable & dishwasher safe. 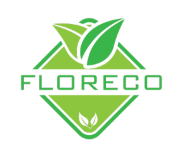 Floreco prides itself on providing quality goods designed with our customers and environmental welfare in mind. 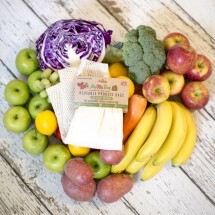 Our Reusable Food Storage Bags provide a sustainable and eco-friendly solution suitable for all occasions. Eco-Friendly - manufactured from 100% food grade silicone, our bags are the perfect alternative to single-use Ziploc/plastic bags. 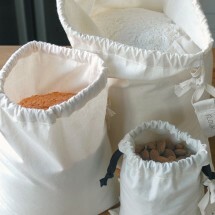 Reusable & Recyclable - our bags are washable and are 100% recyclable. Airtight and Leak-Proof - perfect for keeping fresh/preserving all kinds of food and liquids. 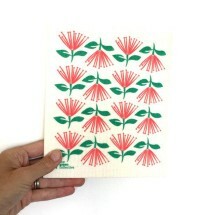 Non-toxic - FDA/SGS approved and are free from harmful chemicals such as BPA/BPS. Extremely temperature resistant - can withstand drastic temperatures ranging from -58°F ( -50° C) to 482°F (250°C) and are safe to put in the MICROWAVE, DISHWASHER, OVEN, SOUS VIDE COOKER, FRIDGE & FREEZER. Durable - our heavy-duty bags are a one-time purchase that is designed to last you for years. -Start sliding the plastic slider bar from the opposite side of the loop handle towards the loop handle. -Please REMOVE the plastic slider bar before heating as it can melt. -It is totally normal that the slider bar feels tight, it's what keeps the bag's seal leak proof. The plastic bar will slide easily when wet. -You can use a dry-erase marker to write on the bags. -Soak in hot soapy water before washing after storing greasy food/liquid. Floreco stands firmly on the principle of providing a sustainable and ‘eco-friendly’ solution to satisfy our customer's everyday needs. Absolutely love them !! Have brought one in to work to show all the foodies so hopefully you will get more sales. No more zip lock plastic bags for me as I accidently bought 8 instead of 4. Great product and even has measurements on the bag. These have been so usefull I am buying more to give as a gift. Really good idea for food storage and they're a good size. They feel like good quality and easy to wash (and dishwasher too). Only thing is they're a bit stiff sliding to open and close but I'm hoping that will loosen up a bit the more they get used. Love this bags and they clean really well in the dishwasher. Great buy! I love these storage bags. I bought them specifically for use in the freezer as I want to get away from plastic bags. They work very well and stack nice and neatly in the freezer. I don't need to label them as I keep a little "colour coded" list in my kitchen drawer in case I can't identify what is in the bags. When new they are super stuck together, but once you open the bag and give them a good wash they are fine. I will definitely be purchasing more of these. They are a bit of a workout to get open all the way at first, but great for keeping things fresh overall and great that they are stronger than ziplock bags AND, most importantly, reusable. When I opened the package and took them out I wondered how to get them open as they were all stuck together (being silicone). You can be a little heavy handed with these without having to worry about ripping them which is great. Easy to wash and dry on the rack and very confident that they are spill proof. Very happy with these. Love these silicone bags. Very flexibke and good quality. Absolutely useful. Very convenient & clean way to store foods. Helps saving space. Excellent product, no need people to use plastic. These bags are excellent! I do a lot of meal prep, and I store leftovers in these bags to put in the fridge. Next time I want to heat them up, I just drop the bags in a pot of boiling water and there I have another hot fresh meal! Best part is, I’m not constantly wasting my money on plastic/ziploc bags. This product is dispatched to you by Floreco. Would you like to change delivery destination? FDA & SGS certified, made from 100% food-grade silicone and are free from harmful chemicals such as BPA/BPS & fillers. Never waste money on one-time-use plastic bags again! Floreco's durable & heavyweight food bags are a one-time purchase that will last you for years, just wash and reuse them over and over.